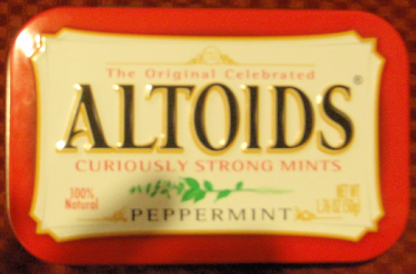 See this altoids tin…soon it will be your favorite game to take with you in your pocket. 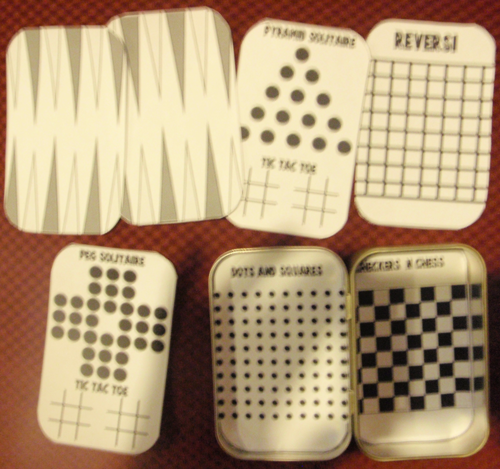 Cut out the game boards and just place the ones that you want to use within the tin. 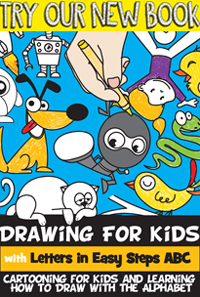 You don’t even need to glue them in…they will just stay inserted. 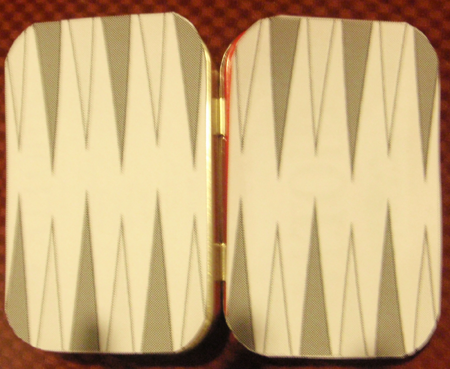 If you want to use backgammon, then glue both of them to the back of the tin…as I did in the picture above. 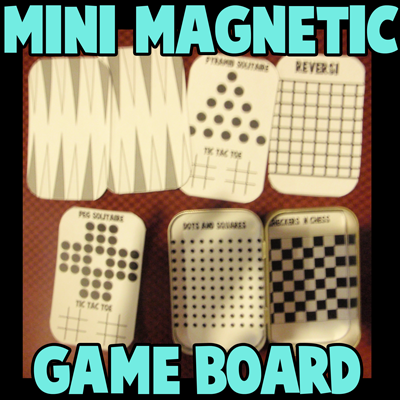 Cut out the game pieces and glue them to the magnets. 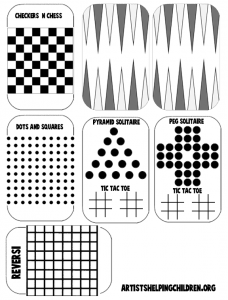 For the Dots and Square game…you can just cut out thin slits of magnet to use as the lines. 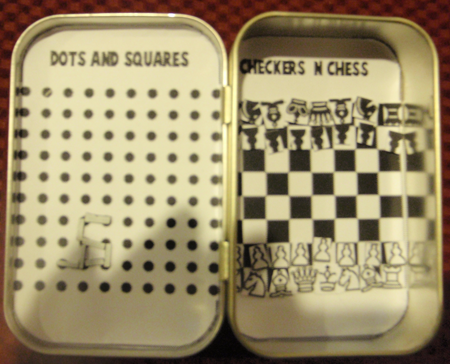 Above you can see all of the game inserts that come with this craft. I saw this craft on pinterest and can’t wait to make these for my boys. 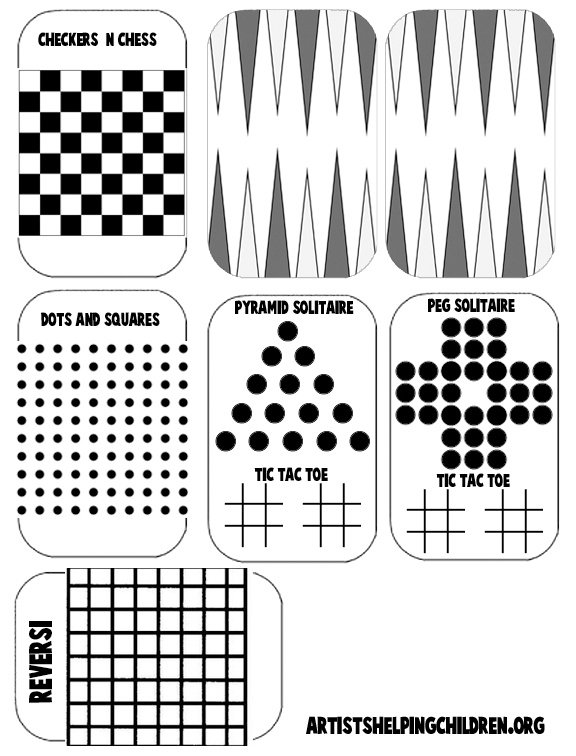 I happen to have a laminator so I can use it for dots game which will allow the kids to use dry erase markers. Thanks again and have a blessed day!! That’s an awesome idea (the lamination). I’m glad you like the idea. 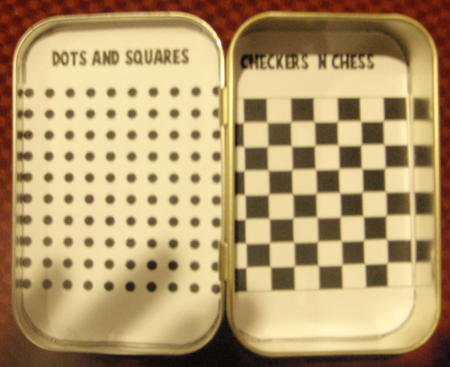 This looks really fun (I love altoid tin projects). My kid’s school project is to make something from a re-used/re-cycled item. Your project is perfect! Thank you! For Those of You With More Time on Your Hands… | Adulthood awaits… Flee.